All Foghat items listed below are authentic and very limited. We do not carry multiple items. All prices and availability are subject to change. All prices include shipping and handling for all USA customers. All other destinations will require actual shipping cost to complete transaction. Have a question? Ask us before purchasing the item. Thank You. Description: Foghat Complete 2016 Touring Band. 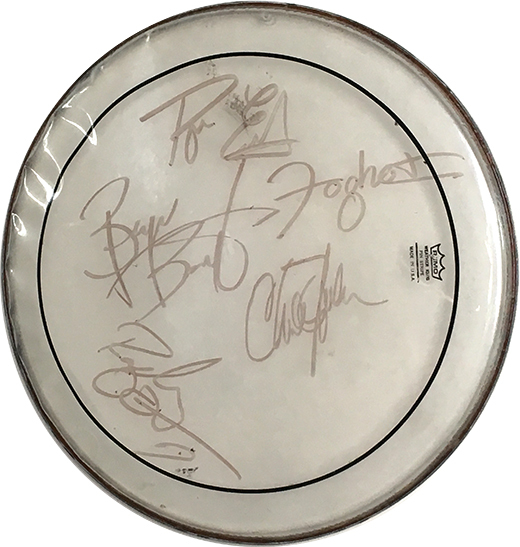 Signed 20" Remo Drumhead used at the Grapevine Main Street Festival 2016. 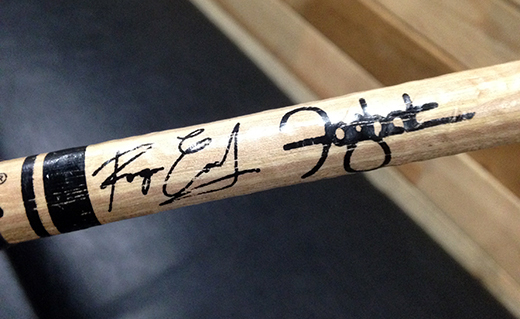 Signed by all four members of Foghat Roger Earl, Bryan Bassett, Charlie Huhnin and Rodney Quinn in silver sharpie pen. Note: This item VG condition. Used on stage.Signed at the Grapevine Main Street Festival 2016 in Grapevine, TX. 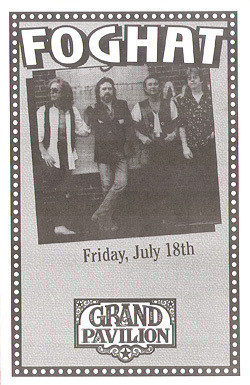 Description: 5x7 BW Foghat 2005 concert handbill / pamphlet. Description: Stage Used Signature/Band Logo Roger Earl Drum Stick from a 2016 Concert in Grapevine Texas. LIMITED! Note: Item used, chips, taped. 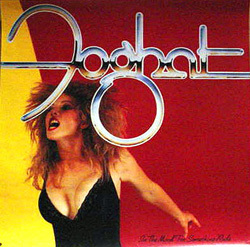 Description: Foghat Girls to Chat & Boys to Bounce Promo Poster. Item in VG+ condition. 1" indention on one side. Size 24x24. Description: Rare 1975 from Daytin, OH. Ticket Stub in VG+ condition.